One of the many benefits of this beautiful area is the number of sports shops that interlace the shoreline of Lake Tahoe and its framing townships. These ma and pa stores are the place to make friends, to connect with others who love the outdoors and to delve deeper into your choice of recreation. For many in this community, these shops not only became a place to find the best gear, but also a place to find a second family. This is so with The Backcountry. An outdoor gear store built by my longtime friend Mike Schwartz, The Backcountry was built on sharing the passion for the mountains. Mike has helped many locals and visitors find the best outings for their level of ability and experience. 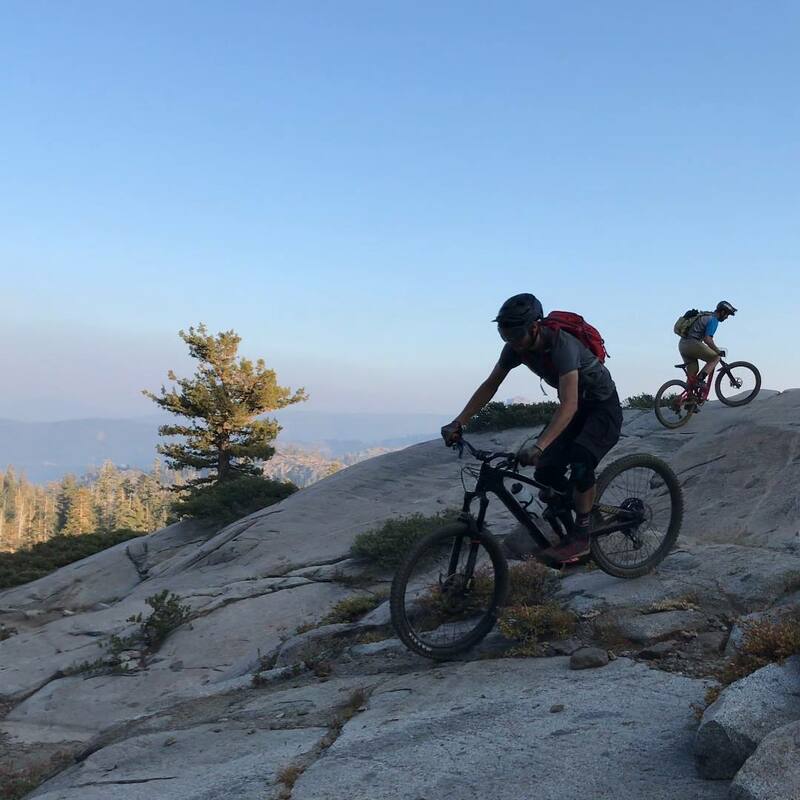 His giving attitude has helped many newbie climbers, hikers, skiers, snowboarders, road riders and mountain bikers to have better experiences as they journey along the path of experiencing Mother Nature around Lake Tahoe. I was excited when Mike agreed to chat with me about his journey of starting an outdoor sport shop for my blog series of locals Living in Lake Tahoe. The Backcountry has been a great asset on my own path of having more fun in the mountains, and I believe Mike and the store can do the same for you. Can you please give readers a little background on The BackCountry’s long history in Lake Tahoe? I haven’t missed a year working in a bike shop since I was 14. Now I am 48. When not asleep on my desk in high school, I drew pictures of a cabin with bikes all around it and a loft to sleep in. By 2001 I had moved into that place. We opened the door to our first shop in Tahoe City in 1994, just as front suspension and clipless pedals started to become mainstream. We added backcountry ski gear our second year and rock climbing equipment after locals showed me the way shortly after that. We got into paddleboarding early on and also added consignment gear sales for flavor. A few years ago we also acquired Mountain Mike’s Ski Shop in Squaw Valley, where we sell and rent gear aimed at the ski area and bike path. 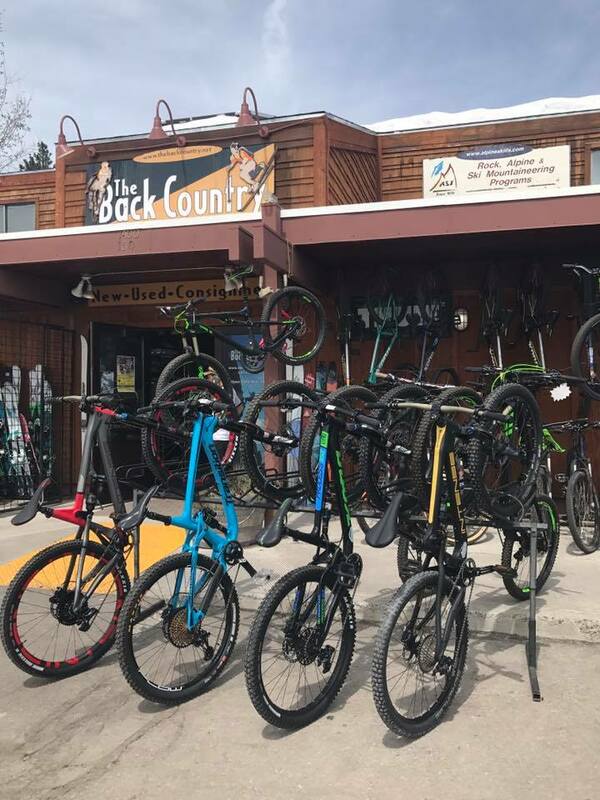 The Truckee store, called The BackCountry, focuses on both the equipment and the mentorship with our customers that they need to exceed their expectations on the backcountry trails and slopes. Our goal is to provide friendly service and expert advice for Tahoe and the Sierra in general, from Mt. Whitney to Mt. Shasta. What is your favorite aspect to Lake Tahoe outdoor adventure? I love the diversity of outdoor activities that are all nearby. There are too many actually, so you have to settle on three or four. For me that is mountain biking, rock climbing and backcountry skiing, all mixed with some camping where possible. I also like to paddleboard and ride motorcycles here and there. What one piece of advice do you feel is most important for people to know for outdoor adventure in Lake Tahoe? Get up early, it always pays off — for parking, temperature, photos and overall efficiency. You’ll get more done. When it comes to outdoor gear, what is one item that we can not go without? For me that would be my phone for the photos. I need to look back at these when I’m not in the mountains as a reminder to look for the next window of opportunity to get back out there. Plus I’m starting to use the navigation apps to learn better routes. Or do I just say my trusty wide-mouth Nalgene water bottle? That would have to be the true number one thing always with me. Do you have any community events on the upcoming calendar? 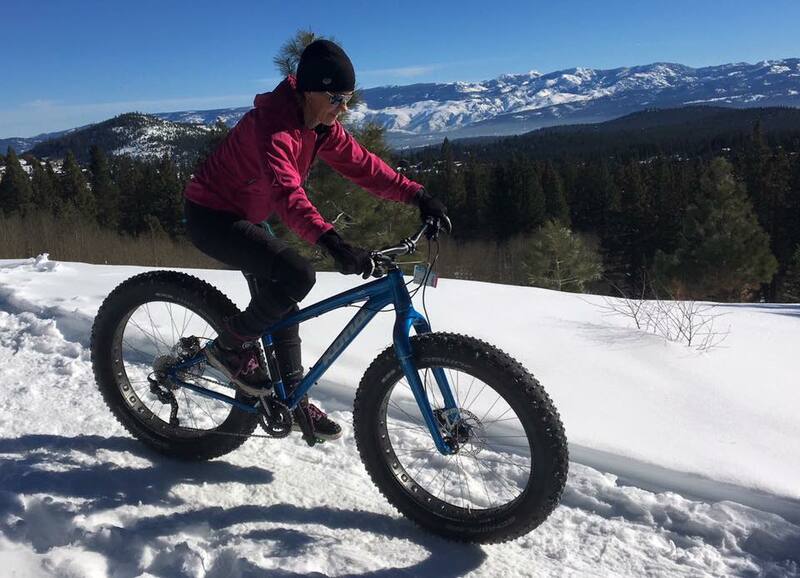 We have free bicycle manufacturer demo days at our Truckee store parking lot on many weekends in the fall. Call the shop to ask about the specific times and dates. 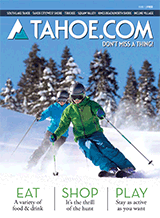 As a longtime Tahoe local, do you have any piece of wisdom that you would like to pass on to readers? I like to take advantage of the season, weather and conditions. I don’t ski bad snow if the biking or climbing would be optimal. I go paddling when the water is glass smooth. I force myself to find the ski gear and ignore the bike when the corn snow is prime and still smooth. I know which trailhead has the best access to my desired conditions. You don’t have to eat dust or ski breakable crust in the mountains, but it sure builds character! I don’t want more character anymore.